Tokuden 7.0kW Gasoline Generator w/ Key Start & Wheeled.. 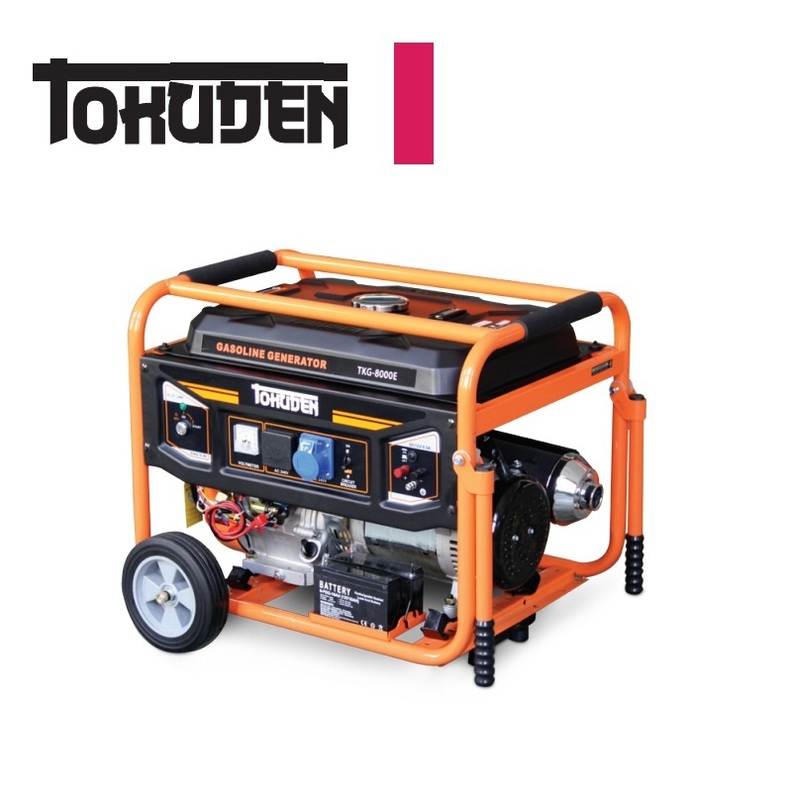 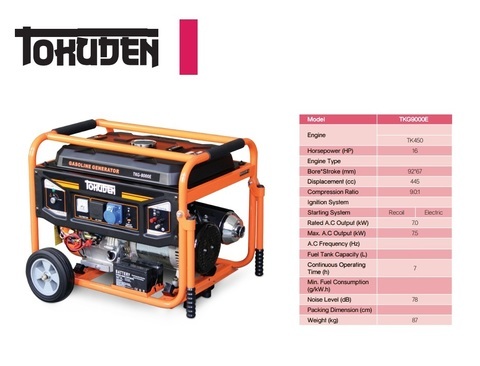 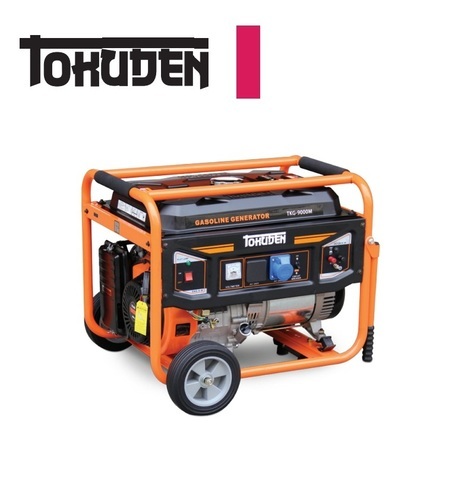 The Tokuden gasoline generator delivers clean power with extended run time, making it ideal for a wide range of demanding applications from home equipment backup to powering equipment out in the field. 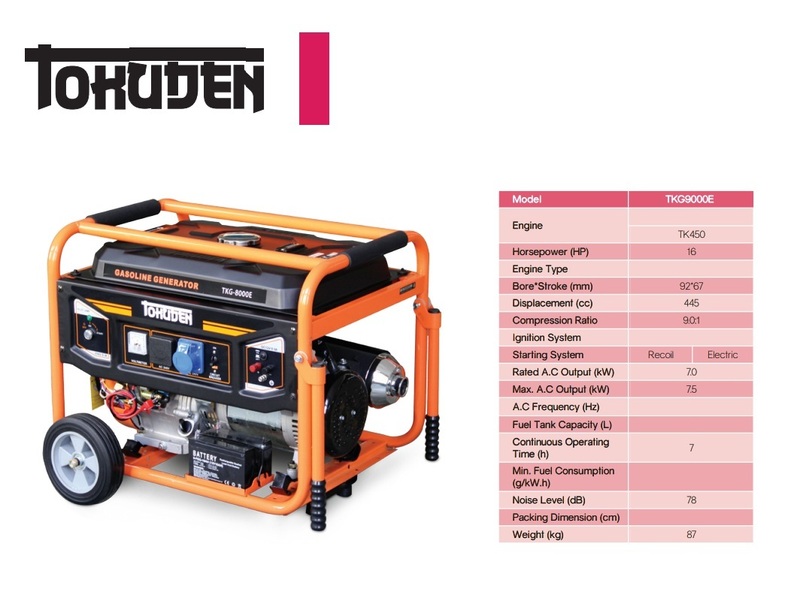 Smooth power is achieved with AVR technology maintaining a constant output voltage, compensating for fluctuations when the equipment starts up or the load changes. This helps provide a stable power source vital for running sensitive devices safely.